My Yahoo! is the market-leading personalized start page -- over 40 million people worldwide use it as an indispensible part of their daily routine. My Yahoo! has been open to RSS feeds for several years, but you now have the opportunity to develop compelling applications and page themes for this loyal, engaged audience. How to get started developing applications for My Yahoo! Read the online YAP documentation and the app developer guidelines for My Yahoo! Add your app to My Yahoo! About applications on My Yahoo! You'll use the Yahoo! Application Platform to build applications for My Yahoo!. My Yahoo! users can see a small view of your app on their My Yahoo! page. The small view serves as the user's personal "dashboard" for what's going on with your app. From the small view, users can link or "Zoom In" to the larger canvas view of your app, where they can interact with your app's full functionality. For more information, see App Developer Guidelines for My Yahoo!. 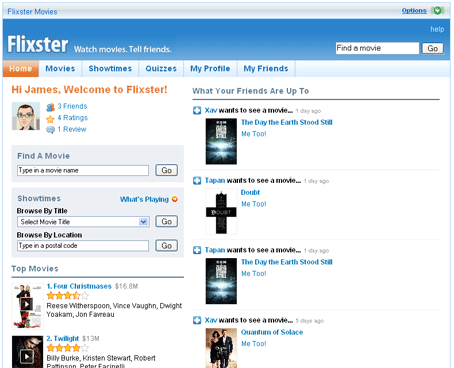 How to get started developing themes for My Yahoo! 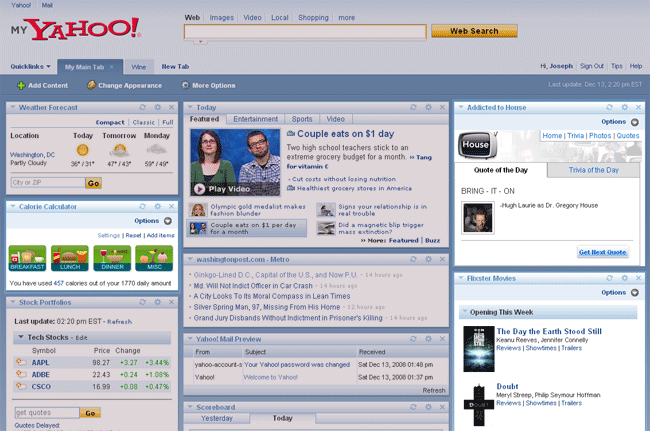 About themes for My Yahoo! 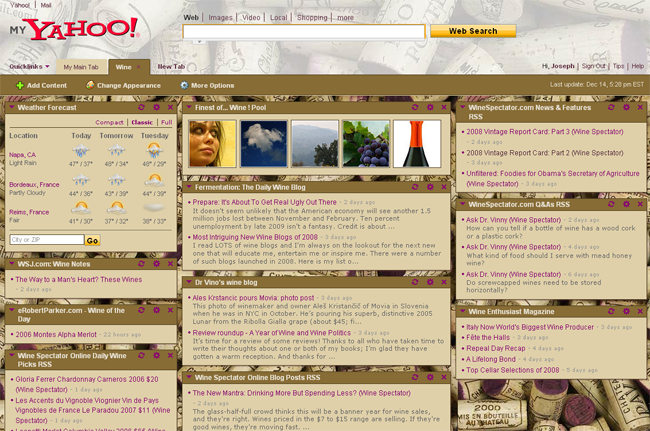 A theme is a collection of colors and images used to style a My Yahoo! page. With the My Yahoo! Theme API you can create themes and share them with My Yahoo! users. For more information, see the My Yahoo! Theme API documentation.